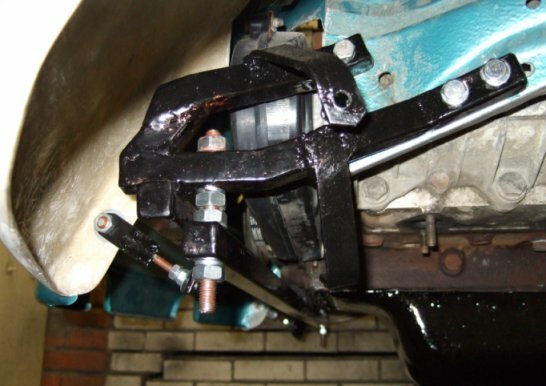 Allthough I have extra strong transmission mounts, I thought it would be wise to add a rear engine mount. The Alfa engine allready has a silent block in the area behind the pully. I bought a 1 metre long 2 by 2 centimeter bar which I am going to use as rear engine brace. The bar didn’t fit between the exhaust and the silent block, so I had to notch it. I welded a 3 by 16 centimeter 6 mm thick plate in it to get the strength back and it is a nice point on which the silent block will rest. This is it on the car. 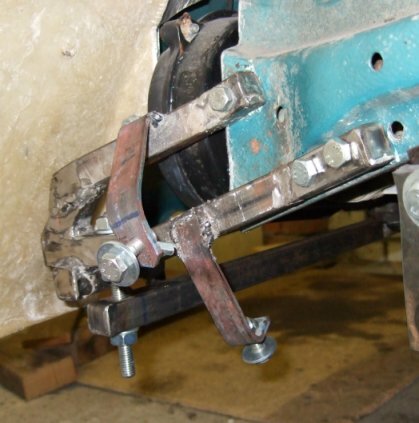 Now I have to create brackets on each side in the wheel well that will hold this bar. edit 28-03-2007: The left bracket is almost finished. 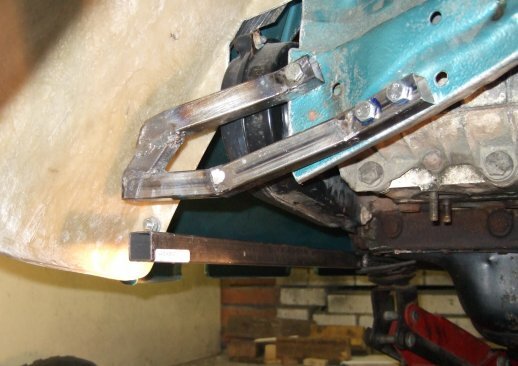 I want to bolt the engine brace bar to the bracket with a long bolt, so it will “hang” under the bracket. That way I can adjust the pre-tension of the brace. 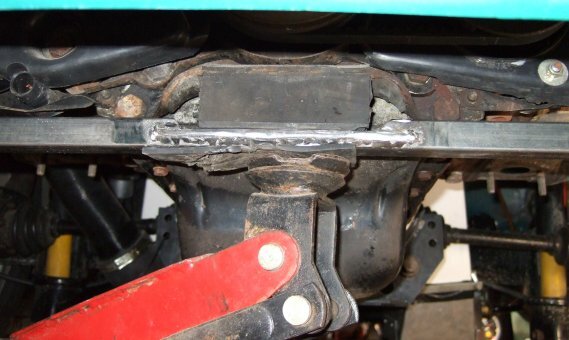 I also want to weld a small bracket to this bracket for supporting the rear apron. edit 10-04-2007: I finished the left and right brackets. The right one is the most complicated because it will also function as a bracket for the silencer. The two rusty metal strips are the supports for the silencer. I secured the brace to the brackets with 10 mm threaded bar. 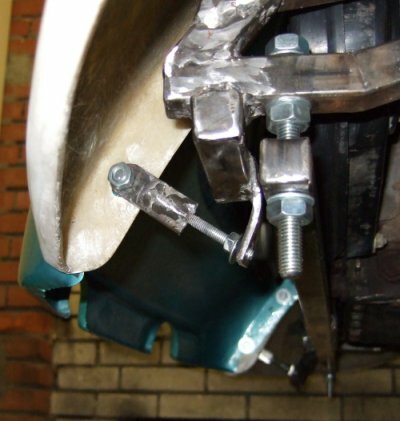 With the nuts I can adjust pre-tension of the engine brace. Now I have to clean up some of the welds, and paint it.